Do you feel your prayers aren’t getting past the ceiling? Do you desire to have a more powerful prayer life? Learn to pray God’s way from the pattern Jesus His disciples, with intensive, practical insights to revolutionize the way you pray (and live) today! 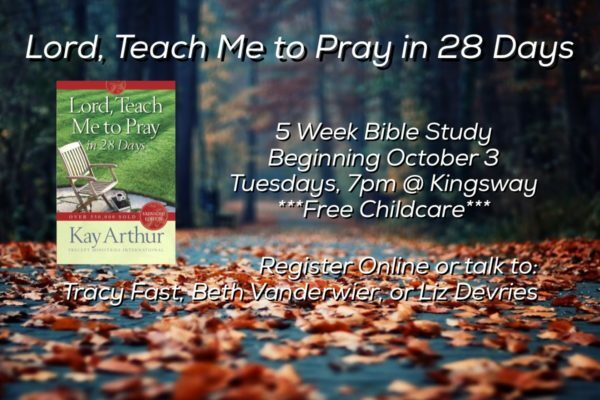 Make sure the “Teach Me to Pray” bible study is selected.